The annual Great Backyard Bird Count is this weekend, February 13 – 16. The event was started in 1998 by the Cornell Lab of Ornithology and National Audubon Society. It was the first online citizen-science project to collect data on wild birds and to display results in near real-time. 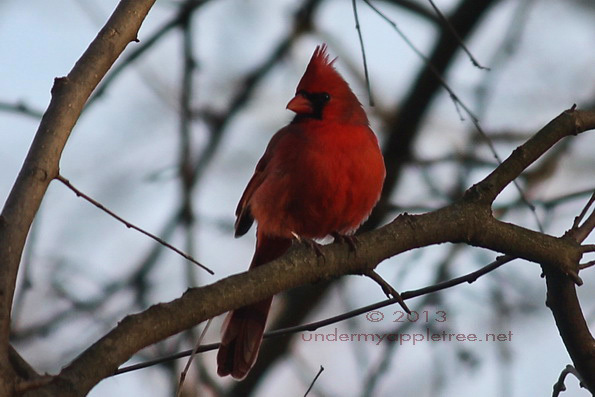 The Northern Cardinal, above, is a frequent visitor to my backyard. I always have a supply of sunflower and safflower seeds in my feeders; a favorite food for cardinals, and many other song birds. The Backyard Bird Count is an opportunity for citizen scientists around the world to help researchers by spending a few minutes counting birds to create a real-time snapshot of where the birds are. It’s as easy as looking out your window for 15 minutes or going for a walk at a local park. People of all ages and skill levels can participate. You do not need to be an expert to contribute. Even if you can only identify the common birds, you can still take part in the count. Get started by creating an account if you have not participated in the past. Print a checklist of birds for your area. Count birds for 15 minutes or more. Enter your results on the birdcount webpage. The Red-breasted Nuthatch on the right is enjoying my backyard peanut feeder. They are occasional winter visitors to the Chicago area, but usually spend their winters further north. 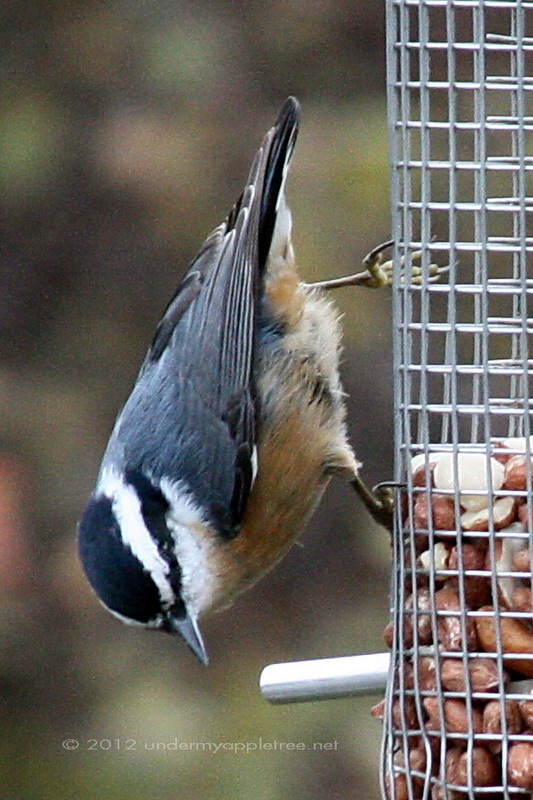 Red-breasted Nuthatches are irruptive migrants and will only leave their usual range when their food supply becomes scarce. They have not visited my yard this winter and sightings in the area have been infrequent. These are the type of trends that scientists are evaluating. You might be wondering why a bird count that originated in North America is held in the coldest month of the year. 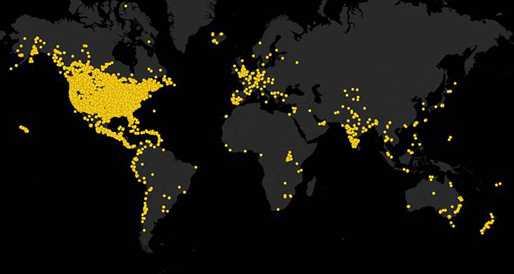 The reason was to create a snapshot of the distribution of birds just before spring migrations begin in March. Several years ago a change was made and the count went global, creating snapshots of birds wherever they are in February, regardless of seasons across the hemispheres. 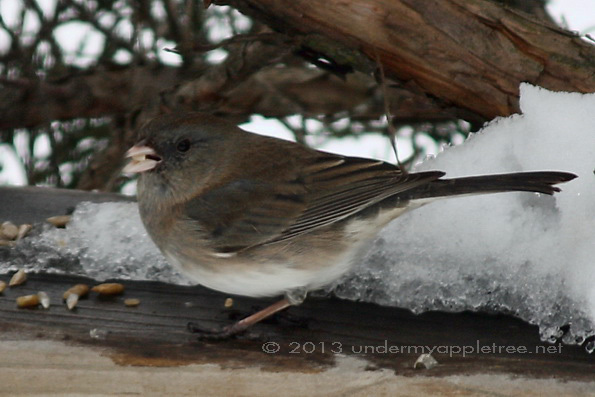 The Dark-eyed Junco, above, is a winter migrant across much of North America. They are predictable and return every year. When they appear in my yard in October, I know winter isn’t far behind. Your backyard, at a local park or wildlife refuge, or wherever you like to watch birds. I count in several places. The easiest is my backyard where I have several feeders and a regular crowd of birds. I can always count on cardinals, finches, woodpeckers and sparrows to stop by for a meal. I also count on the trails at the park and the forest preserve, weather permitting. With the cold temperatures we are having this weekend, I will probably count in my backyard where I can look out the window and not freeze. Mourning Doves are also year-round residents. On a below freezing day, the bird in the photo above is taking advantage of the warm air rising from my heated bird bath. Head on over to the GBBC start-up page and join in. How fascinating! And it is amazing how many you see on a regular basis. But then again, your backyard sounds like a birds’ paradise. What gorgeous bird photos, Leslie! This is your true calling. We have lots of nuthatch visitors at our feeder every day they are getting to the point they don’t fly away when we are nearby. We have a peanut suet feed station but the nuthatch prefer the seed feeder. 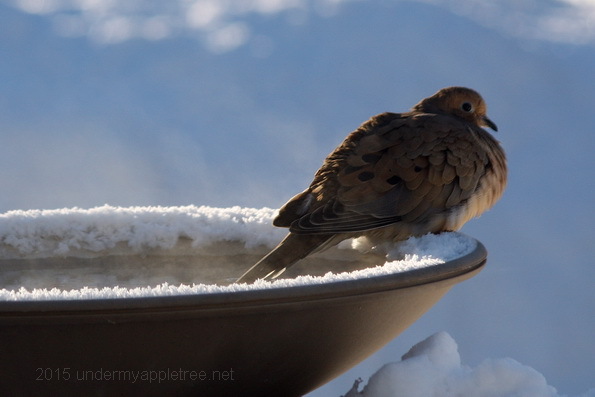 Oh, how I love the photo of the dove at the birdbath! Amazing pics as always, Leslie. I love the snow-rimmed birdbath pic. Mourning Doves are hardy, aren’t they? Our event also takes place in our coldest month, January, with the results being published for the year in March. To be honest, this year, although we have seen a few birds visit the garden, the temperatures down here in the south of the UK have been so mild, that the birds have pretty much been able to fend for themselves on insects right throughout the winter and have needed little human intervention. Nice post and good to catch a glimpse of some of the beautiful birds which are not native to my own country.